If you use Delve in Office 365 (an extension of Office Graph), you should know what are boards, for logically classify your documents, without moving them to a new physical location (document libraries). Like every services in Office 365, there’s an API to allow developers to create applications around Office 365. If you want more information about how to query the Office Graph in Office 365, you can refer to the following article at MSDN. If you read the previous article, you will see that there’s no information in the API documentation, on how to know which boards a document belongs. If you want to know what are the boards for a given document, the ActorId in the syntax above corresponds to the ID of the document. You can get the ID of a document by retrieving the DocId value from the search engine, by using a simple query or a graph query (e.g. for a document from the personal feed of the current user). The search result above indicates that our document (ActorId = 48202211) was added in two boards called “Finance” and “Marketing Strategy“. Each row in the search result corresponds to a board with its properties (retrieved from those that have been specified in the search query). As we have seen, it’s pretty simple to retrieve the boards for a single document but what should I do if I want to retrieve the boards for many documents ? For performance issue it’s not viable to execute a request for each document. So what’s the solution ? Office Graph lets you to combine many actors in the same request. So if you execute a request such as the one below (each actor corresponds to a document), you will get as response, a search result with the boards for each document. Good, but how can I know which document is associated to which board ? If you paid attention to the search result, there’s a property called “Edges” for each row. The value of this property is a JSON string that has been serialized. As you can see, it’s an array in which each object corresponds to an actor with some properties. In this example in which we queried the Office Graph for three documents, two of them (ActorId = 48204877 and ActorId = 48202211) were added in two boards (“Finance” and “Marketing Strategy“). The third document (ActorId = 48204878) was only added in the “Finance” board. This entry was posted in Office 365 - Delve, Office 365 - REST API and tagged Delve, Office 365, Office Graph, REST on August 24, 2015 by Stéphane Cordonnier (@s_cordonnier). If you use SharePoint to store your documents, you necessarily needed one day to share a document with an external user to your organization. 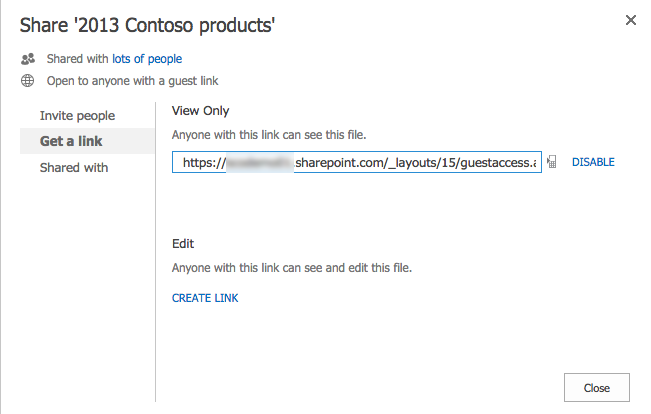 SharePoint, like other solutions such as OneDrive, DropBox, Box, GoogleDocs… gives you the capability to generate guest links on files stored in document libraries. To be able to generate those kind of links, you must enable the correct option at the tenant level as you can see on the screenshot below. When the option is enabled, you generate the link from the share dialog box on a document. It’s very useful but as you can see, there’s no option to limit the time for which the link is available. When you want to disable the link, you have to go back to the dialog box of the document an select the “Disable” option. If you do this on hundreds or thousands of documents, it will be unmanageable very fast. Fortunately, as developers, there’s often a solution that we can use to cover our needs. In our case, if you look into the REST API (but it’s also available with CSOM), on a SP.File object, there’s a method called GetPreAuthorizedAccessUrl which allows you to generate a time-limited link. Now that you have a link which doesn’t require authentication to access/download the file, you just have to send it to your external users. After one day, if they try to use the same link, they will receive an error message. As we have seen in this article, SharePoint has all necessary things to generate time-limited links to share documents. 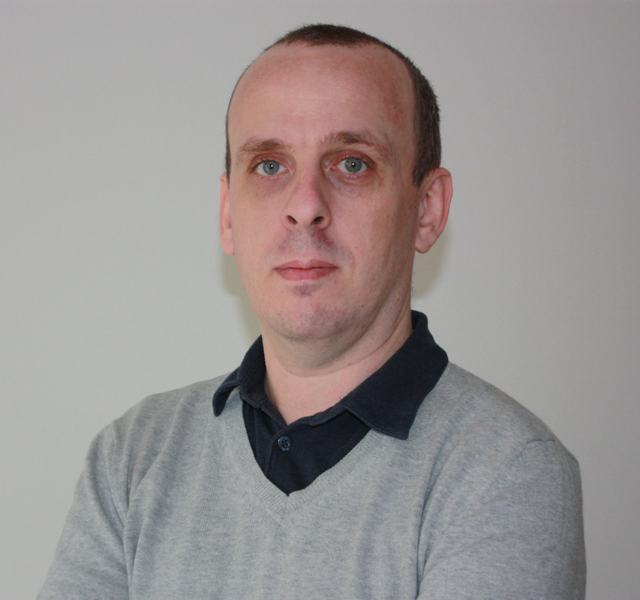 This entry was posted in Office 365 - REST API, Office 365 - SharePoint and tagged Office 365, REST, SharePoint on August 18, 2015 by Stéphane Cordonnier (@s_cordonnier). If you develop mobile applications which need to be multilingual, it will happen sooner or later that you wanted to know which languages are activated on your SharePoint sites. As you can see in the default scalar property set, we are able to know if the current site is multilingual or not (IsMultilingual = 1), but we don’t know which languages have been activated. To retrieve the value we want, we need to modify our call to the REST API so that we have to include additional parameters in the querystring to specify which properties must be included in the server response. When we execute that request, the server return the following response, and we now are able to know which languages (SupportedUILanguageIds) are used by our SharePoint site. Note that although it’s very useful to be able to select which properties will be included in the server response, if you want to include all the default properties plus a new one (SupportedUILanguageIds in our case), you have to put the entire list in the querystring. Many types in SharePoint REST API doesn’t include all available properties in their default scalar property set. If you need to know which properties are included and which are not, you can refer to the documentation (e.g. https://msdn.microsoft.com/en-us/library/dd928431%28v=office.12%29.aspx). 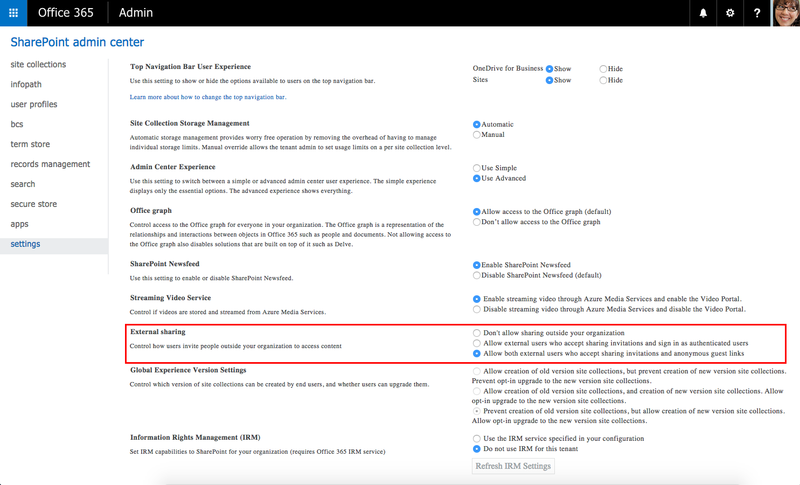 This entry was posted in Office 365 - REST API, Office 365 - SharePoint and tagged Office 365, REST, SharePoint on August 10, 2015 by Stéphane Cordonnier (@s_cordonnier).